Las Vegas is hotter. Los Angeles enjoys the wonderful California sunshine with the cooling breezes of the Pacific Ocean. Not so the land-locked Las Vegas Valley. Summer in Las Vegas is not a whole lot hotter than the interior California desert, like Palm Springs. But, you can’t jump in the car and hit the beach on a hot day like you can in California, unless you have a lot of time to spare to make the 10 hour round trip worthwhile. Be prepared to endure many weeks of temperatures over 100 degrees (it gets easier with time). On the plus side, the eight months of the year that are not hot have great, and generally nicely boring weather, plus we don’t have nearly as many scary events here, like wildfires and earthquakes. Las Vegas is drier. Unless you have been living in Palm Springs or another dry inland valley, you will need a bit of time to adapt to the dry air. Especially if you live on the coast where the air is fairly moist, expect to get a dry cough for the first few weeks, often called “Vegas Throat.” It’s just your body adapting to the lack of moisture in the air. There are a few things you can do to help clear up the symptoms. Las Vegas is cheaper – and more expensive. Las Vegas is a great place to get a bargain on housing, with housing prices about half what they are in California. Apartments are reasonable too, with nice 2 bedroom apartments in the suburbs still available for under $1,000 a month. But, you’ll find that food and gas are a bit more expensive, not to mention the air conditioning bill in summer. Overall though, it’s a pretty low cost place to live. Enjoy lower taxes! As you probably know, Nevada has no income tax and you won’t have to file a state return every April. Since housing is less expensive, property taxes are reasonable (unless you were a lucky participant in Prop 13 tax protection in California). The truth is, our tourists pay most of our taxes (thanks, tourists!) with room taxes and gambling taxes and sales taxes, so we locals do pretty well. In general, business taxes are much lower than California and regulations are lighter, so Las Vegas is a great place to open a business. On the flip side, a few things, like DMV registration fees, are on the higher side, helping to pay for services that we locals need. Water is scarce. Well, this is not news to a Southern Californian. But you will find that excess water use is discouraged – we all try to xeriscape our homes and businesses to conserve water. If you run your sprinklers on the wrong day and time, your neighbors will probably turn you in. But, then, a lot of homes and apartment complexes have swimming pools, so we get our fill of water fun (not to mention a couple of great water parks for the kids). Adapting your family. It’s different here for kids, and not just because we don’t have Disneyland. Las Vegas is pretty well known as an adult town. Families with children take care where they take kids and have a plan for dealing with the adult billboards, showgirls, buskers and the strange people who wander the streets around the tourist parts of town, mainly the Strip and Downtown. And of course there’s the gaming angle, and the smoky, noisy casinos. While it’s important to have a plan to help the kids cope should you encounter a challenging situation, you can mostly avoid it with some planning. Where you live is an important factor. 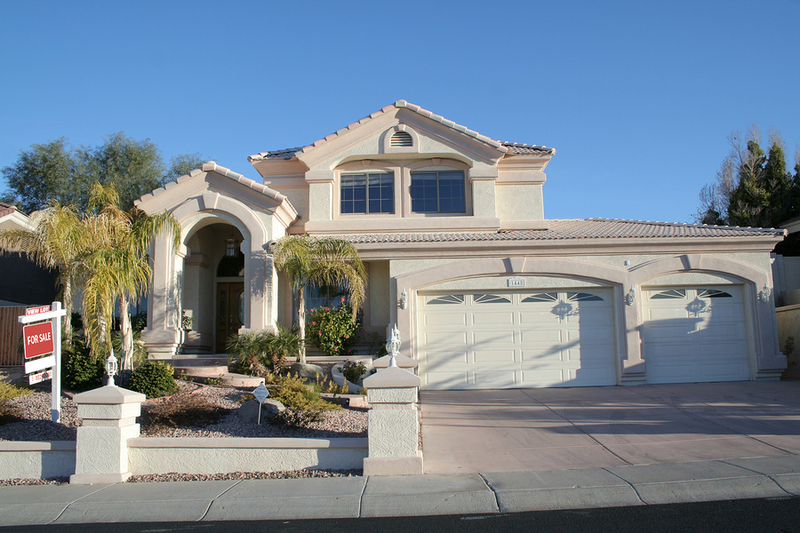 You will find wonderful family-friendly residential neighborhoods around the Las Vegas valley, like the suburbs of Summerlin, Aliante, Green Valley and others. Boulder City, for example, doesn’t allow gambling within city limits and is pretty much a typical quiet small American town. Pick a family friendly area, and you’ll rarely have to deal with your kids running into the stranger side of Vegas. 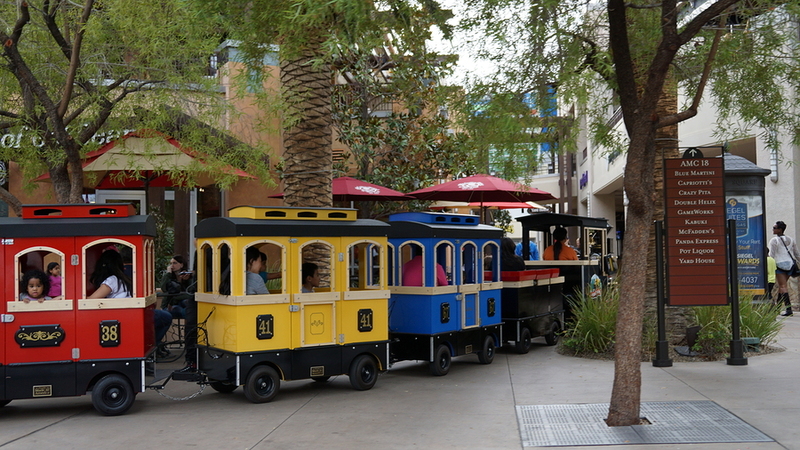 And, there are plenty of fun places for kids in Vegas, too. Say goodbye to LA traffic! Say goodbye to Los Angeles freeways, endless gridlock, being late for work, or spending hours a day in your car. Traffic here is a breeze compared to California, and distances are small in comparison. Commutes are fairly short, unless you live out of town or on Mt. Charleston, with maybe a short morning and afternoon backup around the Strip where jobs and tourists are concentrated. There’s not much in the way of public transportation, but there’s not much of that in So Cal, either. Eat out more often. 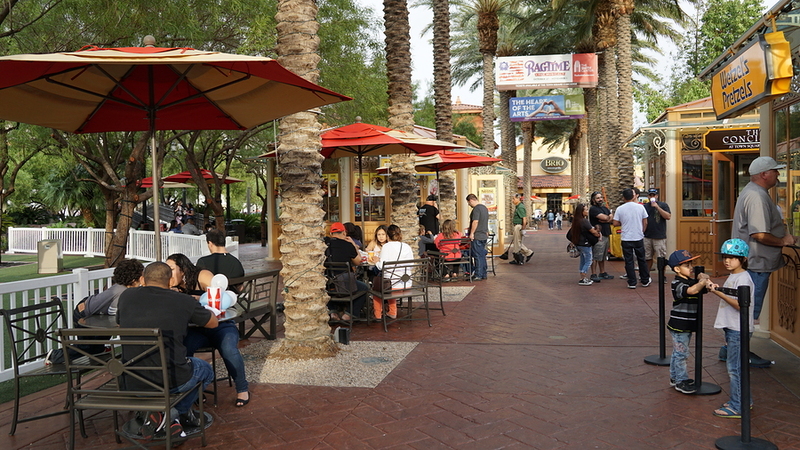 Las Vegas is a destination city for great dining. Award winning restaurants are growing in number, and neighborhood restaurants of all types of cuisine are popping up everywhere. SInce most parts of town are quickly accessible from anywhere, you can enjoy trying new places for months and not run out. And then, there are still those casino buffets when you’re in the mood. If you’re nostalgic for home cooking, a lot of the same chains and foods you find in Southern California are here, too. Vegas is still a small town. Despite approaching a population of 2 million people in the valley, in many ways, Las Vegas is still a small town. It sometimes seems like everybody knows each other, especially in public and business circles, where participation levels are high and where old ties run deep. It’s also a great place for new beginnings and very welcoming to newcomers. You’ll meet people from all over, and they’re all pleased to be here where there are no expectations of who you are, how you look, or what you want out of life. While you can still hobnob with the glitterati, there’s generally less money here, which makes everything feel a bit more down-to-earth that the So Cal scene. Avoid moving in the summer heat. If you’re moving to Las Vegas, the best times to move are spring and fall, or even in the winter when moving rates are cheaper. If you move in the heat of summer, carry and drink water throughout the process as your body will dehydrate rapidly. Make sure to keep kids and pets in the shade. If you do have to move in the summer to start a new job or a new school year, hire moving professionals and let them do the hard work for you. Here are some more tips for moving in the heat. Speaking of moving, Move 4 Less can provide you with a fast, affordable move from Los Angeles to Las Vegas. And, since we’re a locally-owned and operated Las Vegas mover, we can tell you everything you want to know about living in Las Vegas. Get a free quote now on your move to Las Vegas and start your Vegas adventure..